Susan Musgrave, ed., Force Field: 77 Women Poets of British Columbia (Salt Spring Island: Mother Tongue, 2013). 390 pp., $32.95. The act of editing is as much about what is eliminated as what is included. To choose a syllabus from which to teach entails the same dangers and difficulties. 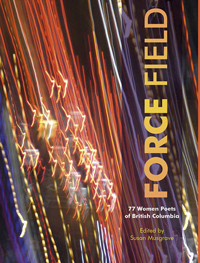 When I was first asked to review Force Field: 77 Women Poets of British Columbia, I was delighted because I grew up in British Columbia, with the tremendous benefits of this province’s rich and diverse poetic heritage. 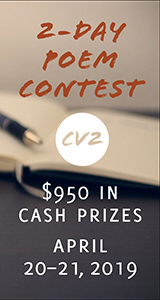 I have had the privilege—as many aspiring writers here in B.C. have—to be counselled by established poets so that we may stretch our own voices, seek out work foreign to our sensibilities, and read widely and often. 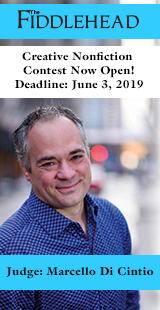 But, in all honesty, I was also dismayed to review Force Field, because I want to be a reader in a world where the identified gender of a writer is not a relevant consideration for the merit, inclusion, or anthologizing of a writer’s work. However, while I have been reading the diverse, electrifying, complex, and justice-seeking poetry of Patricia Young, Joanne Arnott, Jan Zwicky, Rita Wong, Lakshmi Gill, and Fiona Tinwei Lam (to name a just a few), the novelist, journalist, and University of Toronto professor at Victoria College, David Gilmour, announced in an interview for Hazlittmagazine that he is “not interested in teaching books by women.” He states, voicing a singular bias that is, I would argue, representative of much larger issues of inequality and discrimination in current Canadian literature and academia: “when I was given this job I said I would only teach the people that I truly, truly love. Unfortunately, none of those happen to be Chinese, or women.”1 Given that anthologies are not only published for private readers, but for the publics of the classroom, Force Field—in light of Mr. Gilmour’s comments—becomes evidentially imperative as a text that makes writing by women accessible. 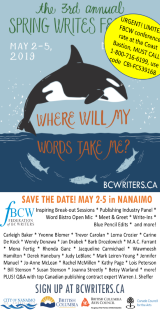 Not since 1979, with the publication of D’SONOQUA: An Anthology of Women Poets of British Columbia, has an anthology of women writers from British Columbia been published. 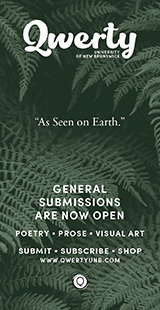 Force Field is described by its publisher—the small independent press, Mother Tongue, run from Salt Spring Island—as “a celebration of how far women’s poetry has come today.” This was, at first, the kind of book-marketing-speak that makes me cringe (what is “women’s poetry,” and how is it different than “poetry”? How might “women’s poetry” be read or treated differently than “poetry,” and, well, why should it be treated differently?). But given the week many of us spent on the Internet reading about university courses committed to “serious heterosexual guys,” this book seems an apt and timely celebration in counterpoint. Yes, reading “women’s poetry”—and, for goodness sake, teaching poetry written by people who also happen to be women, or who identify as such—is worth opening a bottle of good wine and settling in for the night. In fact, this book, that glass of wine, the reading of voices uncompromising in their talents, is a passionate and peaceful form of resistance. So do buy this book. Do open that bottle of Bordeaux you have been saving (or a refreshing alternative beverage), because the people at Mother Tongue are right: Force Field is a collection worthy of celebration. This is a collection of poetry that will make readers fall deeply, passionately, and truly in love with women and the words they write. Despite the talent in Force Field, despite the felt sense of community at work, I still wonder whether the practice of anthologizing on gender lines unintentionally perpetuates misunderstandings and divisions between the human race as a whole. 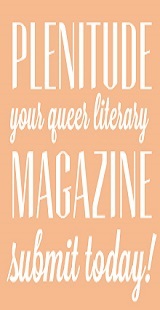 Does classifying poetry as “women’s poetry” perpetuate the teaching of “real guy-guys” down the hall? In her introduction, Susan Musgrave writes: “One of the many definitions of ‘force field’ is ‘a special charm, aura, or spirit that can influence anyone in its presence.’” I hope the influence of this anthology is one of Athena-like balance. Let this group of voices be a source of teaching, and a poetic force field for the uplifting of justice.